This easy beer-marinated grilled chicken fajita recipe combines fresh ingredients with spices and beer that yields a tender and flavorful chicken! Just in time for your next cookout! 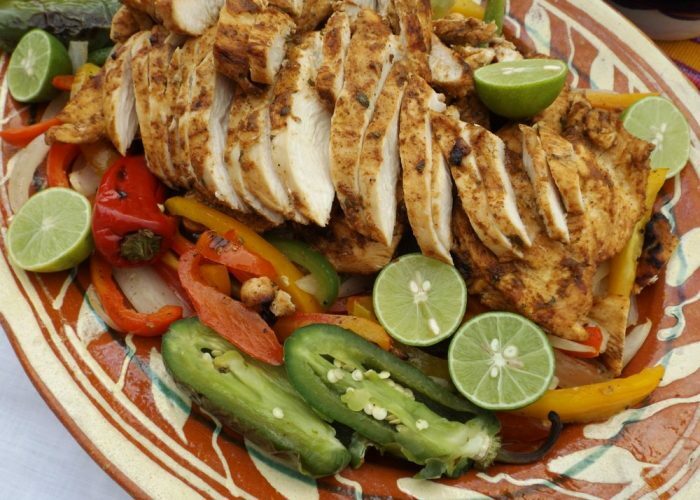 This beer-marinated grilled chicken fajita recipe is easy! You only need some commonly used spices that most of us have in our pantry and a few fresh ingredients. 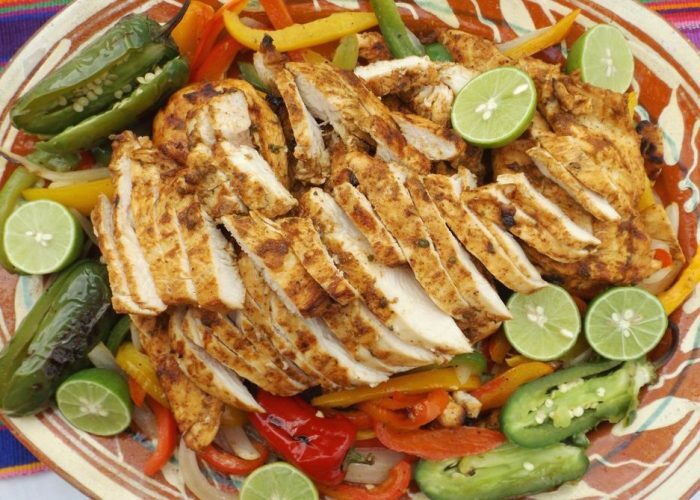 Grilled chicken fajitas are one of the most popular taco fillings around. And I really look forward to the leftovers! 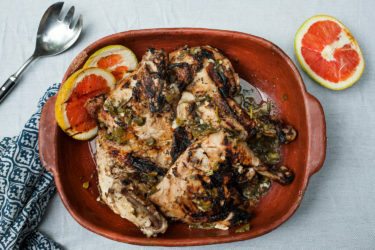 This chicken is perfect for salads, quesadillas and a quick version of chicken tortilla soup. Mix in a little beer to help tenderize the chicken further. This easy marinade also works well with steak, pork chops and shrimp. Pan-seared foods are tasty, but there is just something extra special when foods have that hint of smokiness from the grill. 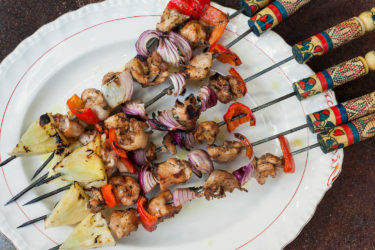 Make sure to bookmark this recipe for your next family barbecue! To the blender, add all of the ingredients for the marinade, except for the beer. Blend on high until smooth. Taste for salt. Pour into a bowl, then stir in the beer. Add the chicken, making sure it's evenly coated and covered with the marinade. Cover the bowl and marinate for 2 hours. Prep the rest of the ingredients while you wait. When ready, remove chicken from marinade and shake off excess moisture. Transfer to a plate. Preheat your grill to medium/high heat for 10 minutes with the lid closed. Transfer the bell peppers, onions and chile peppers to a grill-safe metal pan that is lined with foil paper. Drizzle with a little oil. Season with salt and pepper, to taste. Place on the hot side of the grill and cook for 10-13 minutes, stirring as needed, just until vegetables begin to soften. Move the whole tray over to the cool side of the grill. Brush the grates with oil. Place chicken onto hot side and close the lid. Cook for 4-5 minutes per side or until internal temperature reads 165ºF. When ready, transfer chicken to a large cutting board, cover loosely with foil and let rest for 5 minutes. To serve, place grilled peppers and onions onto large serving platter. Slice chicken against the grain and place on top of peppers and onions. You can toss to combine or leave the chicken on top. Garnish plate with grilled hot peppers, whole or sliced and lime wedges. Serve with tortillas, fresh salsa and guacamole. To tenderize the chicken even more, after you butterfly the chicken into cutlets, cover with heavy plastic bag and pound out the chicken with a meat mallet. This will also cut down the cooking time on the chicken to about 3-4 minutes per side. 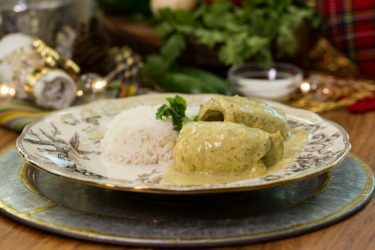 Leaving the chicken too long in the marinade will change its texture and give it a chalky texture when cooked.